Citroen's C-Zero, shown, is a rebadged Mitsubishi. The brand's next EVs will be built on a PSA/Dongfeng platform. Citroen's full-electric cars will not be standalone models but will be part of a family with conventionally powered versions. "Our strategy for electric vehicles is not to have a vehicle dedicated to electric, but to have electric across the range, so customers can choose a gasoline model or an electric model," Citroen CEO Linda Jackson said. Citroen's first EV developed with parent PSA Group's e-CMP electric-car architecture will launch in 2020. Jackson didn't comment on which segment the car will compete in. PSA has said the platform is planned for compact and subcompact models. The automaker's upscale brand DS is expected to launch the first new-generation EV in 2019. The e-CMP is being developed by PSA for its Citroen, Peugeot and DS brands alongside its new CMP (common modular platform) for compact and subcompact vehicles using combustion engines. Both are being co-developed with PSA's Chinese partner Dongfeng Motors. Cars using the e-CMP architecture will have a driving range of up to 450 km (279 miles), PSA said in a news release last year. 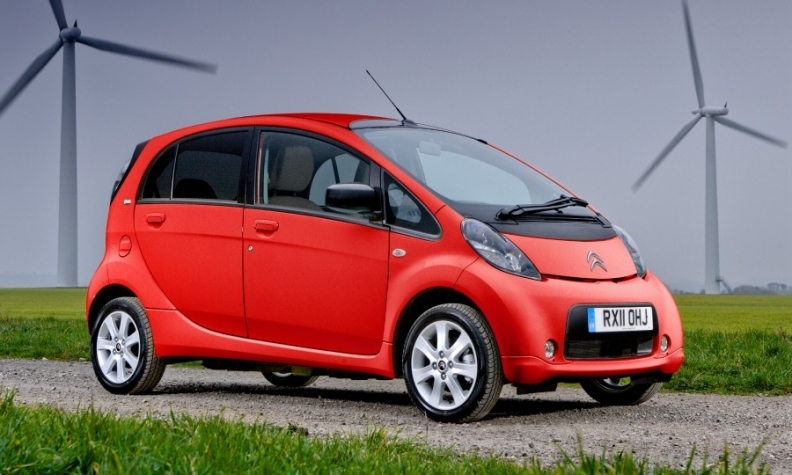 Citroen's currently sells two full-electric cars, the C-Zero minicar and the e-Mehari small convertible. The C-Zero minicar is produced by Mitsubishi Motors in Japan alongside the Peugeot iOn and Mitsubishi i-MiEV. The e-Mehari convertible is a restyled version of the Bollore Blue Summer car. Citroen will continue its partnership with Mitsubishi despite rival Renault's alliance partner Nissan taking control of the Japanese automaker, Jackson said. "That doesn’t change anything," she said. Citroen uses the C-Zero in its car-share trial schemes, including 250 in its Multicity scheme in Berlin, Germany. The brand sold 1,827 C-Zeros in Europe last year, up 66 percent on the year before, according to data from market analysts JATO Dynamics. Sales of the e-Mehari were 547 last year. Citroen will launch its first plug-in hybrid model in 2019. It will based on the C5 Aircross unveiled at the Shanghai last week show. The plug-in version will be sold in both Europe and China, Jackson said. Citroen's electric strategy is different than rivals such as Volkswagen brand, which will sell standalone EVs built on a new MEB modular electric architecture alongside cars built on its traditional platforms, starting with the Golf-sized ID battery powered compact in 2020. Currently VW sells electric versions of its Golf and Up cars.